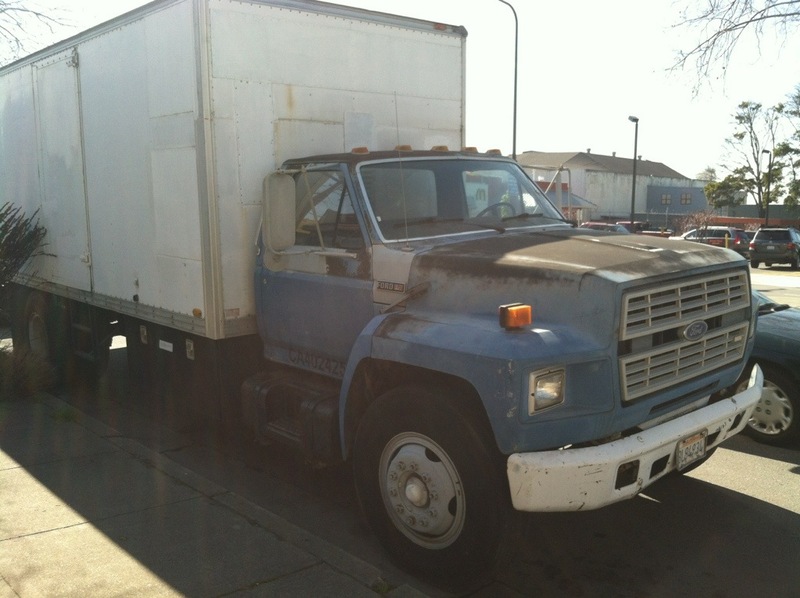 1985 Ford F7000 diesel bobtail box truck. $4000 obo, or trade. All serious offers considered. Will trade for 20 foot or longer enclosed car hauling trailer with a ramp. Needs brake cylinders – They work, but leak. Approximately $600 in parts, $400 in labor. We can get it done before sale if you wish to add $1000 to the sale price. The invoice for the work will be included with the title transfer. This truck is currently at our mechanic’s shop awaiting a decision on the brake work. We decided we would rather sell since we don’t need the truck anymore. Solid reliable runner. Starts every time, VERY reliable. – Maxon fold-under hydraulic lift gate. – New rear brake linings and drums. – Interior of the box is lined with T-trak (E-Track, or ETRACK) cargo strapping rails, and D-ring rails. Recently serviced, lubricated, and maintained by certified mechanics. – Some smoke on cold starts that goes away once warmed up. This has been a rock solid reliable truck.